Quartzelec’s Hamilton business is well placed to serve the growing renewables market and already provides maintenance and support services to a number of small to medium scale renewables projects including grid connection to turbines and hydro schemes. 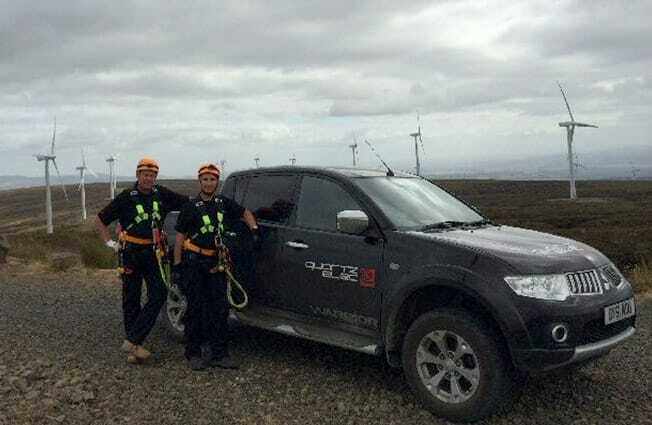 Quartzelec were approached and were successful in securing a three-year contract for DNV GL – the world’s leading renewable energy consultancy – to provide maintenance services to several windfarms in Scotland. Quartzelec was approached to tender for this particular contract on the basis of an independent recommendation for work in a similar sector and our excellent reputation in HV maintenance. With limited resource and infrastructure in place, yet always keen to accept a challenge, a tender was submitted and the contract secured, with DNV GL appreciating the fresh approach which is typical of the Hamilton business’ thinking. The contract includes HV (33kV) switching, substation inspection and testing plus switchgear maintenance and required additional investment in specialist training for our growing team of highly experienced HV engineers as this contract requires climbing towers and operating safely at height. Vehicle upgrades are also essential when accessing some exceptionally beautiful but at times quite inaccessible areas.